Bridget’s Story This entry was posted in Blog. My name is Scott Diveley and my youngest daughter Bridget received a life- saving heart transplant at the Johns Hopkins Children’s Center when she was two. 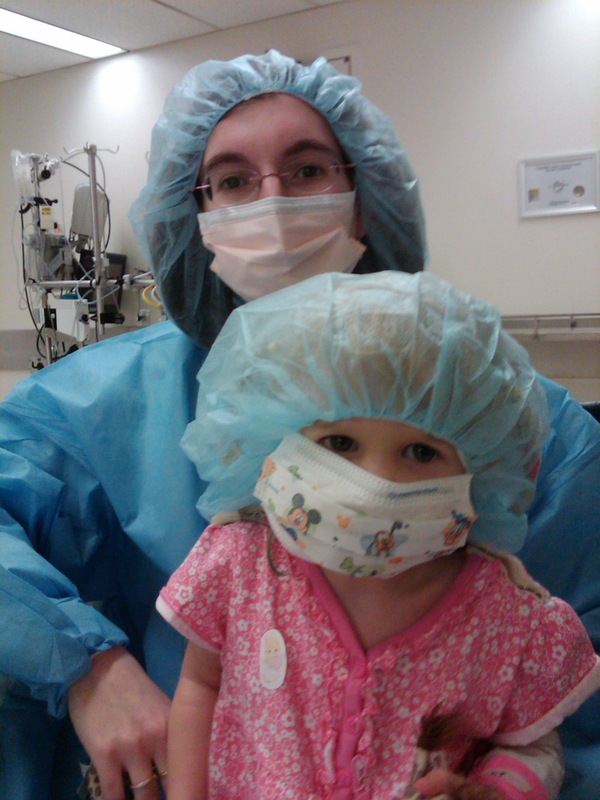 She was a healthy 21 month old when our journey began in September of 2009. She was diagnosed with viral myocarditis, a random unknown virus had attacked her heart. 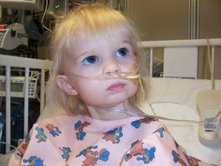 In March of 2010 she received her donor heart and was transplanted. I could write a book about our roller coaster ride through our ordeal. You can never imagine that your child needs a heart. While “living there” the staff made me realize that they treated Bridget like their own child. 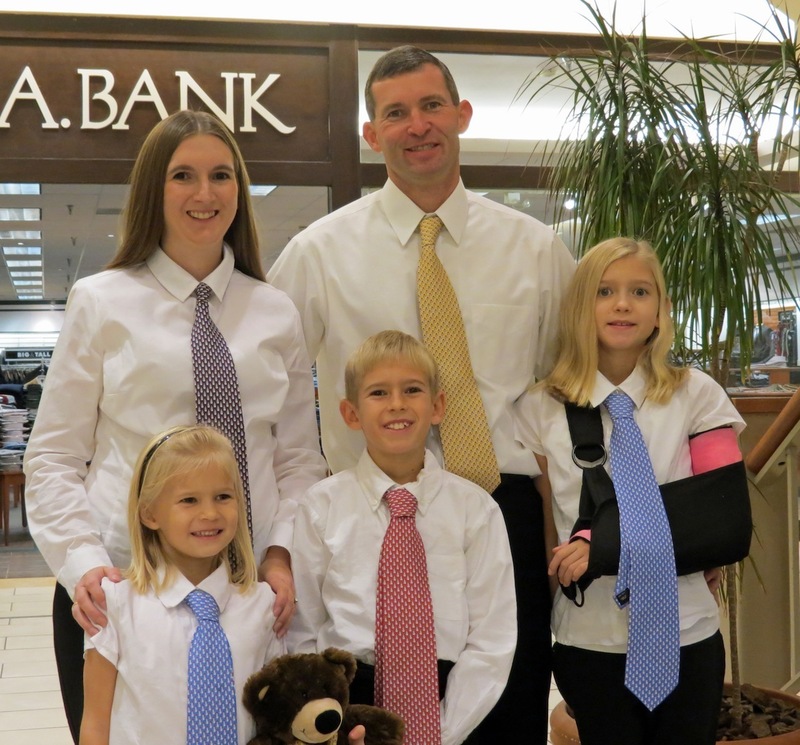 Bridget became part of the Hopkins’ family. You could tell the staff struggled with us over some very important decisions, such as when we officially listed her for a heart transplant. I am glad my wife and I became part of the team. The team was PICU, Pediatric Cardiology, Child life, Transplant Coordinator, and us. The transplant brings so many thoughts in your head. Should we do it? Will she suffer waiting? Will her heart heal on its own? Will she die hooked up to a bunch of machines? The list goes on and on…Then I asked myself if I were Bridget knowing the information I know, I would want the best chance to live. I would want the chance to experience what life has to offer. You could see it in Bridget’s eyes everyday she was fighting to survive. My wife and I would take 12 hours shifts at the Hospital so one of us was always there for her. She was scared, but the comfort of Mom or Dad can’t be replaced. When I would come in she would say “Daddy’s Home”. It was tough for one to think this is their home. I remember one nurse we had was in the PICU for over 15 years. Many questions we had for her were quickly answered. She was able to relate them to her past experiences with similar cases. The nurse made us feel at ease. She also had two toddlers at home with one having similar features to Bridget. The nurse had been through 15 years and had to handle all the mental and emotional stresses that are involved in her job. I also saw it in many of the doctors and their expressions when talking with or watching them examine Bridget. I was truly amazed at the care, treatment, and dedication that Bridget received and continues to receive for follow-up visits. 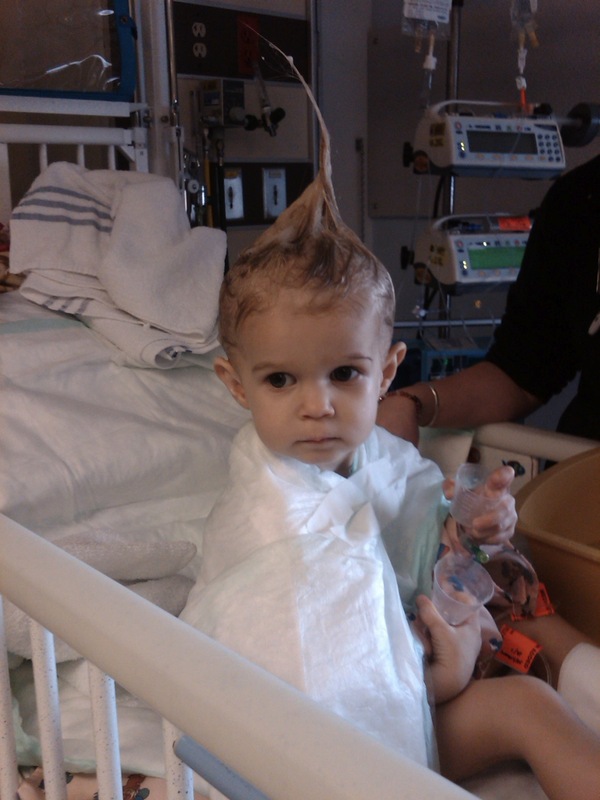 Miracles happen every day at the Johns Hopkins Children’s Center. The men and women that work there make it happen. I witnessed a few miracles there. On two occasions Bridget’s weak heart was slowing and her vital organs were shutting down and she stopped breathing. Bridget “coded”. Witnessing this first hand changes your life forever. You see a team of 15 people come from every which way and surround her. I watched a nurse breathe life back into her lifeless body. You then realize this nurse took all of her training over the years and in the heat of the battle and the amount of stress of having someone’s life in your hands. Those two minutes seemed like an eternity. The miracle for me was she put everything she learned and applied it to the max. The other miracle being our transplant surgeon, Dr. Luca Vricella. I can’t imagine the stress that he goes through. He not only had to put the donor heart into Bridget but had to remove it from the donor. Before surgery he tells you that this is an easier heart surgery and not to worry. After surgery he says he had never seen a donor heart just take off and beat immediately. He says Bridget should be the poster child for heart transplantation. Bridget is now a healthy six year old girl who enjoys every moment that life has to offer. It is almost as if she knows what a gift she has received. Bridget has been the poster child not only for heart transplantation but for the Johns Hopkins Children’s Center as well. She has been on TV, a cover girl for Hopkins Children’s magazine, the 2012 Champion Child for the Children’s Miracle Network representing Maryland. 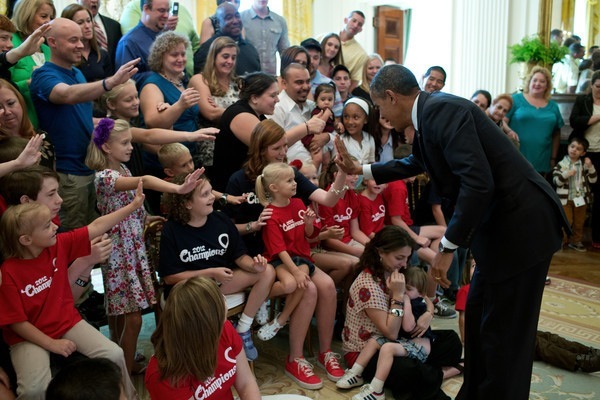 She has high fived the President at the White House, designed a Miracle Tie for Jos A. Bank, been the Ambassador for Radiothon on Mix 106.5, and list list goes on. Most recently she loves being the Tigerthon Princess at Towson University’s annual Dance Marathon which benefits the Johns Hopkins Children’s Center. I joined Team Sadie this year for the Baltimore Running Festival because of all the great things I heard from working with members of the development department at Hopkins. This will be my first marathon. I started running more frequently a couple years ago. My friend and co-worker got me started in 2011 on a 17 degree February morning to run three miles. He lost me, but I became hooked. Running has definitely helped me cope with Bridget’s condition. Being a parent you blame yourself about her getting the virus. I just think if I would have changed one moment in time, her path would have never crossed that virus. It sounds silly, but that is always on my mind. I always want her to have a support network throughout her life. There will come a time when she starts asking questions I can’t answer. I don’t know psychologically what it is like to live with someone else’s heart. Knowing that something tragic had to happen to someone in order for you to live. That network of support continues to grow all the time. My wife does a lot of speaking engagements when Hopkins’ needs someone to share their experience at the Hospital. Our family loves to pay back to the institution that saved our daughter’s life. In 2012 and 2013 we organized a successful 5k run that benefitted the Children’s Center and raised over $35,000. The team took a break this year. We had teamed up with another set of parents to see if they would help out as their son Bradley had a transplant one year before Bridget. It was quite a learning experience and we met many people including a woman who had a heart transplant over 30 years ago. The idea for the run had started when I was running. My mind frees up. I have many positive thoughts and dreams when I run. The running community has supported my family and thousands of others. I am looking forward to meeting the Abell’s and Team Sadie on race day. My wife and I witnessed firsthand how lucky we are to have a world renowned hospital in our own backyard. I met people from around the world who chose to come here, because they knew the best chance for their child had at life was here at the Johns Hopkins Children’s Center. Our family has learned to live the moment. We cherish each day, hour, minute, and second. I have also learned to step outside my comfort zone and challenge myself. Bridget has and continues to inspire many be her carefree, fun loving soul that enjoys everything that life has to offer.